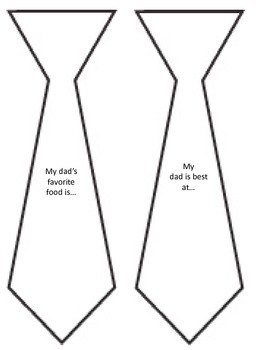 This is a printable that your students can fill out for their fathers to give as a gift for Father's Day. 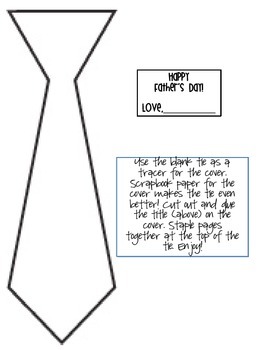 It comes complete with directions, 8 sentence starters (one on each tie), and a template for the cover so you can make it out of scrapbook paper or construction paper. Also included is a set of directions to take this writing activity one step further! 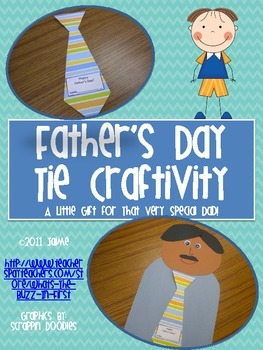 Make a "dad" to add the tie book to and you will have an awesome craft to give to dad on father's day! 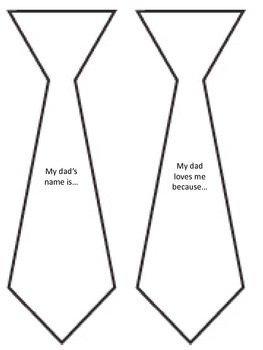 It makes for an easy, inexpensive, thoughtful, fun gift for dad!